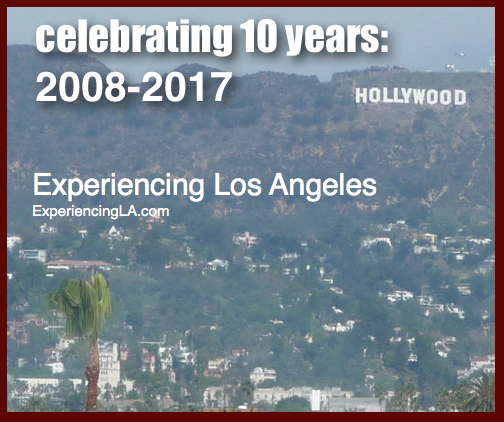 This next May will mark ten years of blogging with ExperiencingLA.com. To commemorate, I thought it'd be fun to go back and pick a random post from each of the past ten years. Feel free to click on the title (under the year, in red) with a link to the original post. It's amazing how quickly ten years has gone by. I'll finish out with a couple of family photos, one from 2008 and another ten years later, from 2017. Remember when flashmobs were "a thing"? With over six million views and counting, Journey of Faith Church's 2010 Flashmob at the South Bay Galleria is an outstanding reminder of what - or, better, who - Christmas is all about. As my family and I join Christians from around the world celebrating the birth of Jesus Christ, I thought today would be a good time to once again repost this video. I love the fresh take on some very familiar Christmas Carol - and taking the Christmas message beyond the walls of the church in such a creative, winsome way. I'm also reminded of the words of renowned British science fiction author H.G. Wells: If there is no God, nothing matter. If there is a God, nothing else matters. A friend of mine started a new job in Los Angeles, a couple of miles from Journey of Faith Church. I showed him the video and suggested he try visiting the church once he gets settled in to his new job in L.A.
That's his plan. 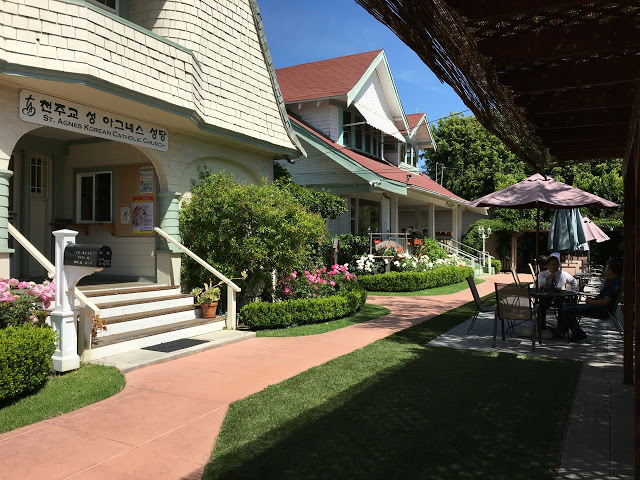 If you're anywhere in the South Bay and are looking for a church community, I'd suggest stopping by (Journey of Faith is located in Manhattan Beach - six miles directly south from Los Angeles International airport). Here's a link to their website. Wishing everyone a blessed and meaningful Christmas. 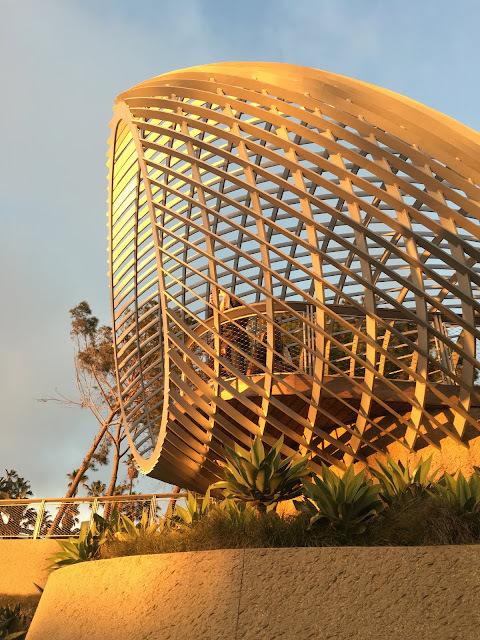 This time last year I was back in Los Angeles and had time to visit the area around the Santa Monica Pier, including Tongva Park. Here's a link to Part I and Part II of Tongva Park, plus a link to the area surrounding the terminus of the new Expo line. Above, the Santa Monica Pier at dusk. 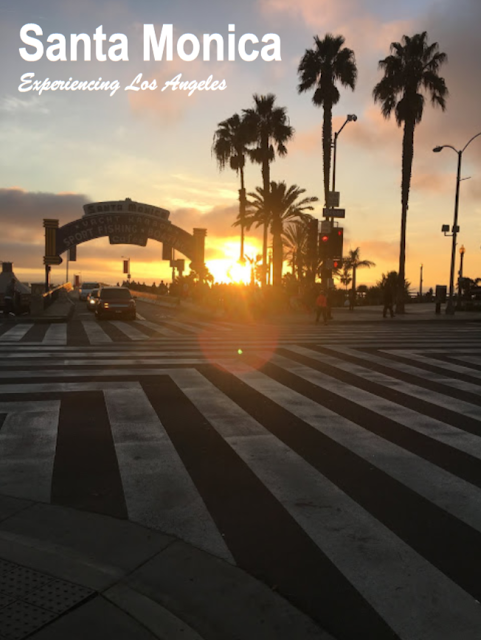 Santa Monica has become an incredibly popular - and incredibly expensive - place to live, work and visit. Above, The Waverly Condominiums, located on the corner of Olympic and Ocean Avenues, and across the street from Tonga Park. According to the Waverly website, the condos are available for sale and for lease. Currently, there's one unit for sale, a 1 bedroom, 1 bath for $1.3 million. If you'r looking to rent, there's also just one unit available, a 2 bedroom 2 bath, 1,451 sq foot condo for $7800 a month - which ends up just shy of $100,000 in annual rent. For a condo. Welcome to Santa Monica. What blows my mind is that at even this price, there's only one unit available. 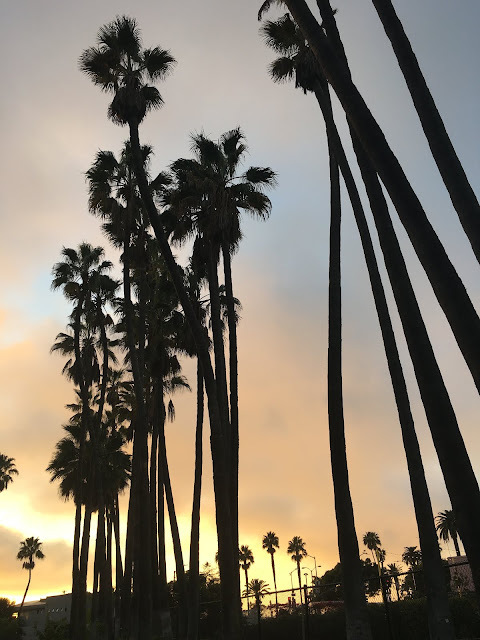 As stated last time, Santa Monica now has the distinction of being the most expensive rent in the United States, with the average price for a one-bedroom apartment, an incredible $4,799 a month. New places a block from the beach like The Waverly condos are, of course, more than that. 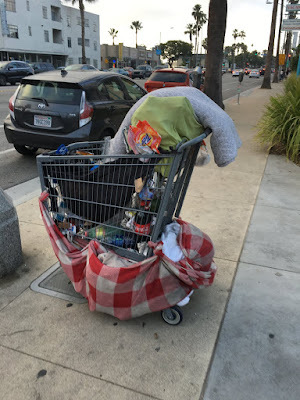 Santa Monica also has a huge homeless population, which certainly a bit jarring, especially around all this wealth. Many (but certainly not all) of these individuals are either mental ill, have drug or alcohol problems, or both. This is a very complex issue and I certainly don't claim to be any sort of expert on the subject. That said, here's a link to a previous post with some thoughts on this. As Christians, my wife and I continue to support the work of the Union Rescue Mission - which not only provides long-term housing for hundreds of most vulnerable men, women, and children but has a comprehensive program to get people permanently off the streets. That's the goal, isn't it? If you're looking for a way to make a difference in people's lives, they're one of the best. For the "working poor" (who often spend 50% of their income on rent) and the middle class (who are leaving Los Angeles for more affordable parts of the country) the answer is simply green lighting more housing. A lot more housing. For Los Angeles County, which currently has about 3.5 million housing units, somewhere along the magnitude of an additional 550,000 units. That would be like overlaying the entire housing stock of the city of San Francisco, plus another another 164,000 units, over Los Angeles County. While requiring developers to set aside a percentage of new housing units below market ("affordable housing") is perhaps a noble idea, the unintended consequence is this drives up the price for everyone else, as developers simply pass along the cost to other renters or buyers. Housing is built when the developer, who's taking a ton of risk, has a good chance of making a profit. No one is going to build housing that's not profitable. That's why most current development is for high end property. Perhaps a better solution would be to make it easier and just as profitable for developers to build mid range and smaller (that is, more affordable) housing. Meanwhile, back in the very beautiful city that very few people can afford, it's sort of weird to go from seeing an individual's possessions in an abandoned shopping cart back to the eye candy that along Ocean Avenue. Across the street, is the Loews Santa Monica. The Ocean Lodge Hotel is a reminder that Santa Monica, like much of the "westside" of L.A. was once much more middle class. The reviews on google are mixed, certainly the location is the biggest draw. No free parking. That's an additional $24 a night. 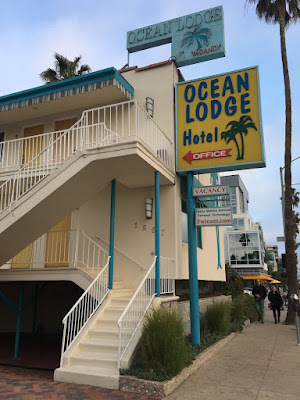 The Ocean Lodge is literally against Tonga Park, and a couple of block from the Santa Monica Pier. I walked across the street, just to check out the Loews. Fire pits and a pool up against the beach. Beautiful place. 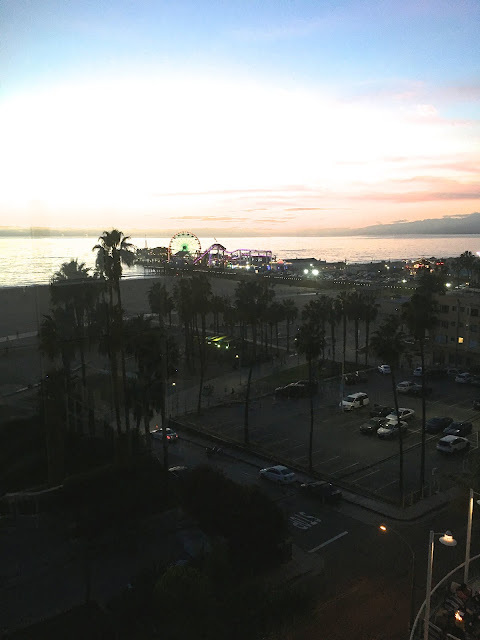 From the upper floors, there's a beautiful view of the Santa Monica Pier. The public parking lot in between the hotel and the sand, perhaps not as scenic. The palm trees help. That said, I appreciate the fact that there's plenty of parking near the pier. 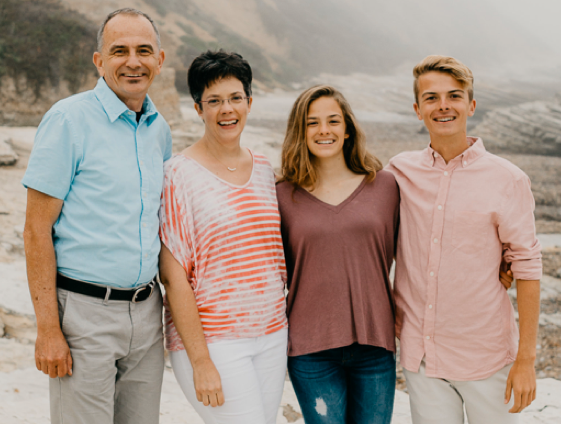 However, the lot north of the pier is very busy, especially on weekends and during the summer, and becomes extremely backed up coming out of the McClure Tunnel and heading north on the Pacific Coast Highway. That said, I'd suggest one of these lots south of the pier, or a nearby parking structure. Walking to the other side of Ocean Avenue, and back to my car. And a final view of Colorado Avenue. The entrance to the Santa Monica Pier is behind me, the Expo Line is three blocks ahead. Apparently, these aren't Christmas lights, but are up year round. 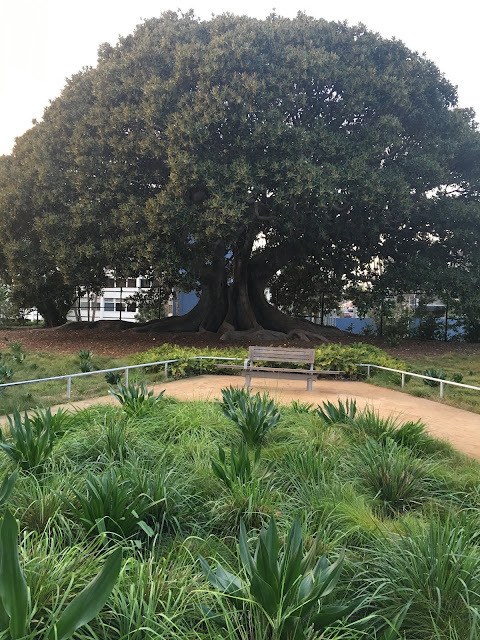 This time last year I was in the area and had some time to explore Tongva Park, a new six acre park a couple of block from the Santa Monica Pier. Here's a link to Part I and Part II, with some photos of Tongva Park and adjacent Ken Genser Square. Above, the entrance to the Santa Monica Pier, located at Ocean Avenue and Colorado Avenue at sunset. Another view. 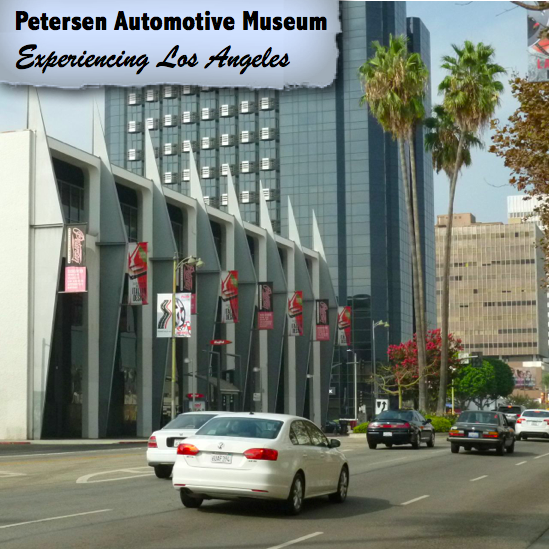 The historic neon sign at the entrance was installed in 1940. 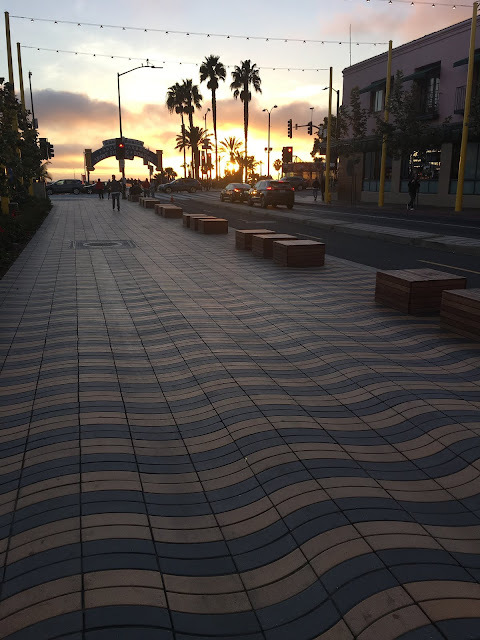 The City of Santa Monica recently installed an artistic walkway from the entrance to the Pier to the terminus of the newly opened Expo Line. Another view, this time looking back toward the setting sun. Parking garage, with a new exterior. Pedestrian walkway to the Expo Line. Expo Line light rail station, downtown Santa Monica. 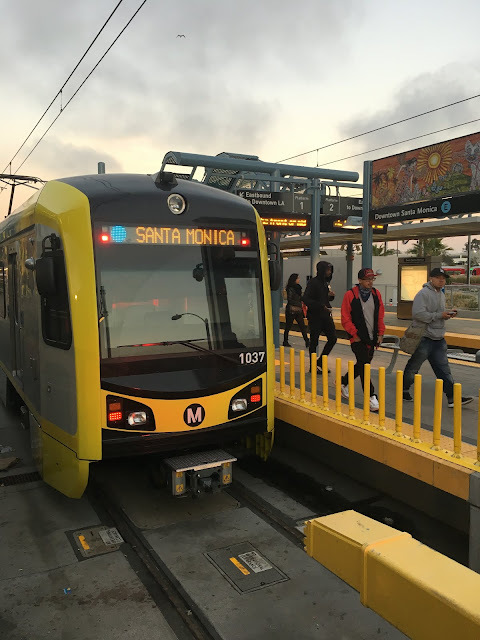 The Expo Line extension to Santa Monica opened on May 20, 2016. Here's a handy map, showing the stops along the entire 15.2 mile route between Santa Monica and downtown Los Angeles. 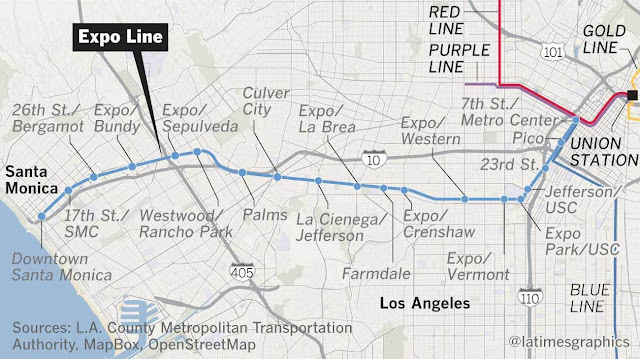 For the first time since 1953, Angelenos can take a ride from the city to the beach on rails. OK, technically the Expo Line doesn't go all the way to the beach. 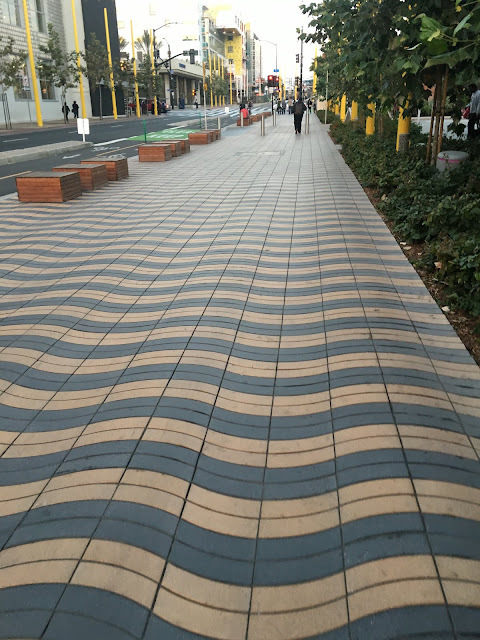 You have to walk three blocks. What's that take? Five minutes? 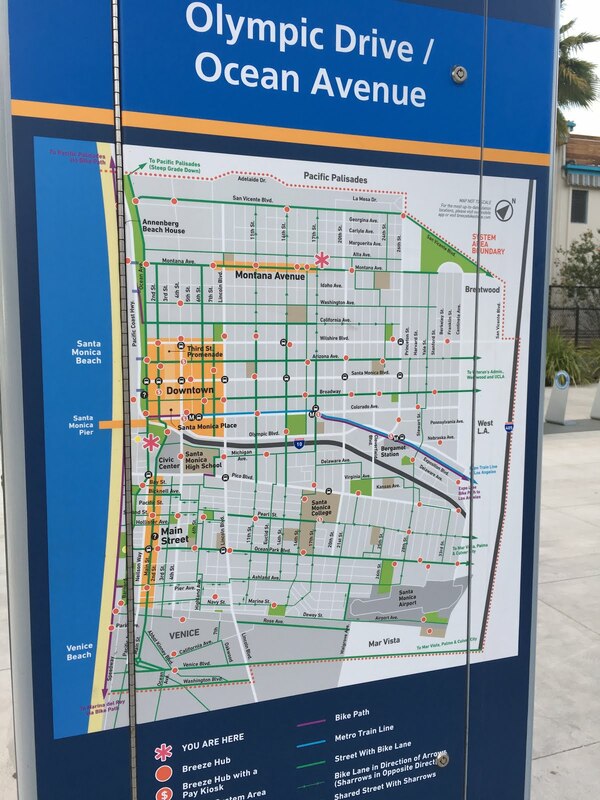 Speaking of five minutes, while the final station in Santa Monica doesn't have a designated parking lot, there 3,000 parking spaces within a five minute walk. Diagonal from the Expo Line is the Santa Monica Place shopping center. 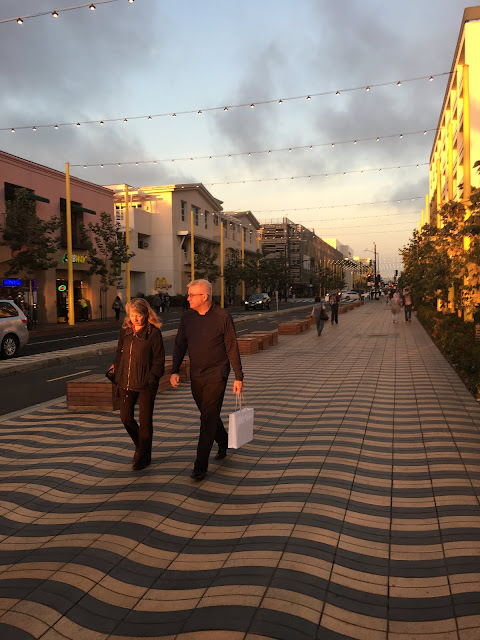 The Santa Monica Place opened in 1980 and recently went through a massive, three-year renovation process reopening in 2010. Across the street, and directly across from the Expo Line terminus is the 1947 Sears Building. Sears recently closed the store. 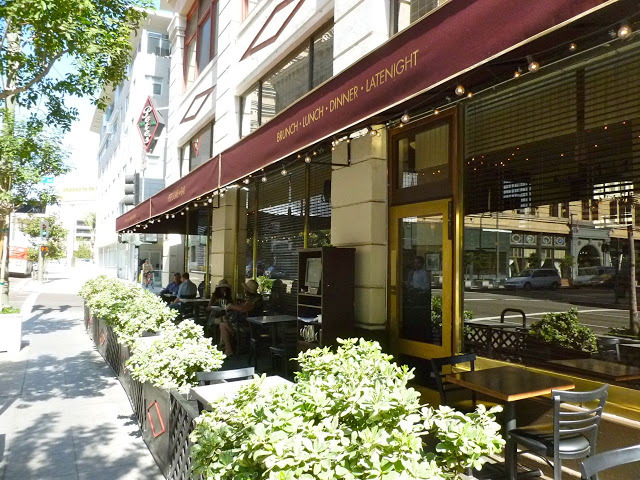 The store was deemed a historic landmark in 2004, meaning the owners can't change or expand it. Plans call for a mixed used development. Meanwhile, the land that parking lot is sitting on is worth a small fortune - easily 100 million dollars, if it could be developed to it's fully potential. No idea if the updated version of the building will include an update to the parking lot. I walked back over toward Tongva Park along Olympic Blvd. 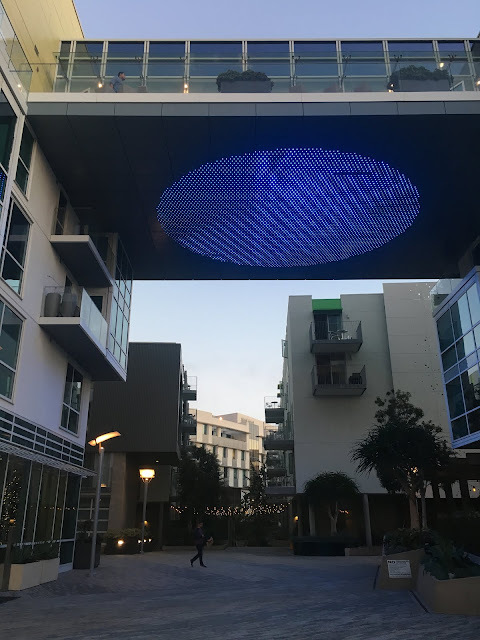 This apartment building is across the street Tongva Park. 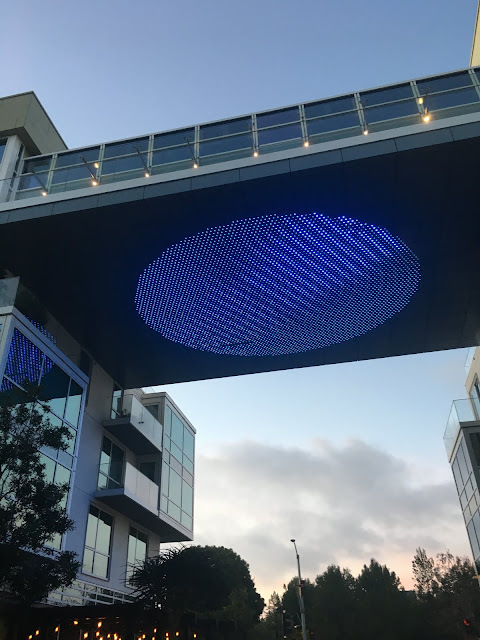 Cool, modern light fixture on the walkway between the two buildings. Despite the new construction, supply is no where meeting demand. 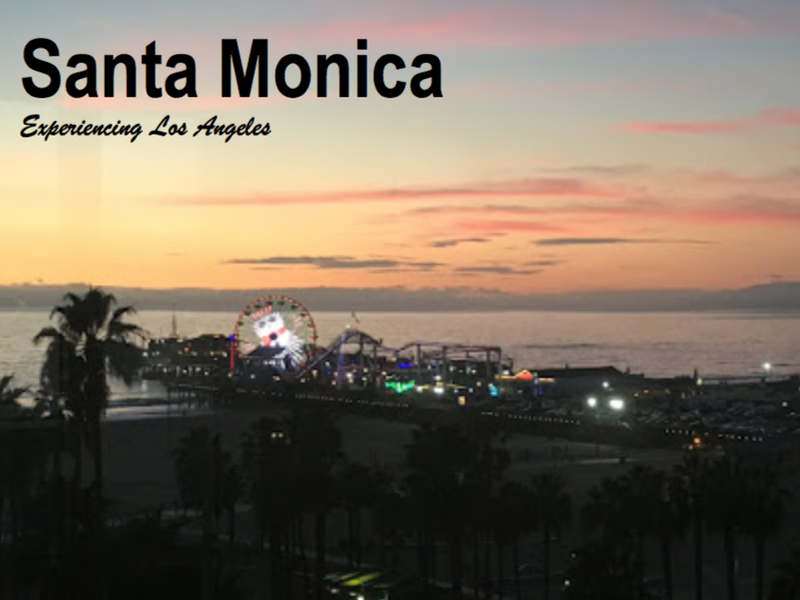 According to this article, Santa Monica has the distinction of being the most expensive rent in the United States, surpassing even San Francisco and New York City. The average rental price for a one-bedroom apartment is an incredible $4,799 a month. Olympic Blvd at Ocean Avenue. 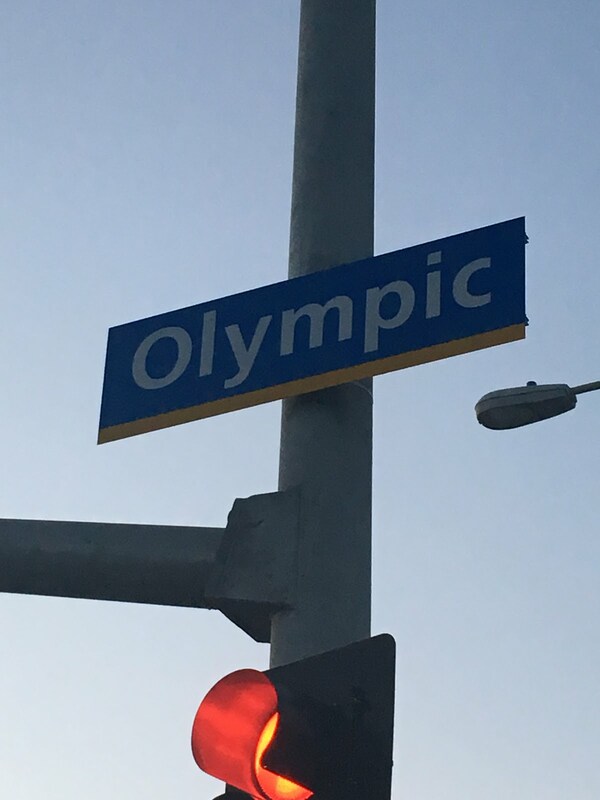 Olympic Blvd goes from Santa Monica all the way to downtown Los Angeles, and is named in honor of the 1932 Los Angeles Summer Olympics. 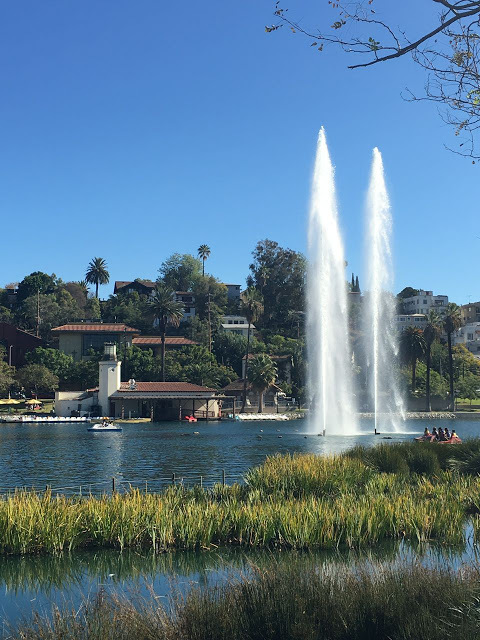 Los Angeles hosted the Olympics again in 1984 and has recently been selected to host them a third time - in 2028. 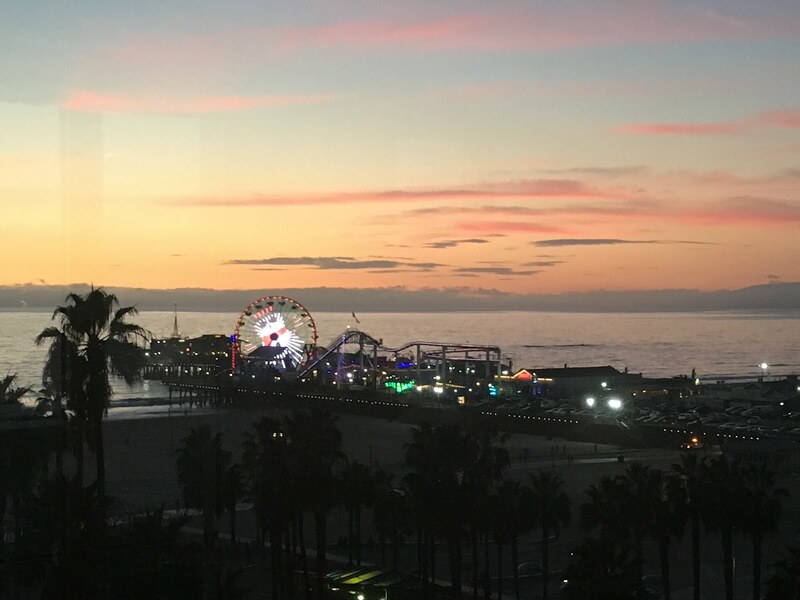 A final view from the deck of the beautiful Loews Santa Monica Hotel, overlooking the Pacific Ocean. More next time. 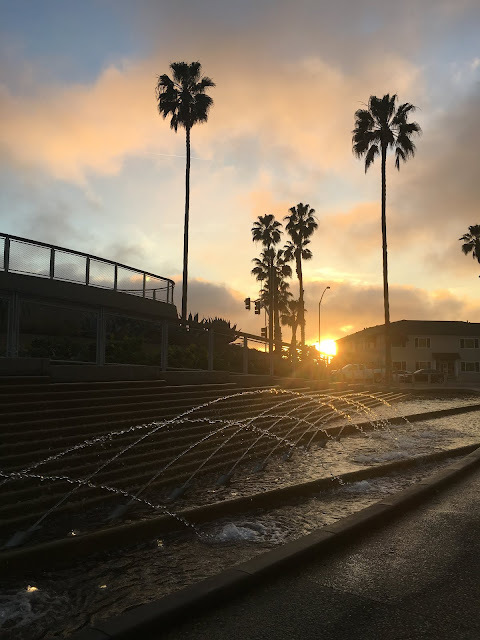 I was back in the area this time last year and took some time to explore Tongva Park and the adjacent Ken Genser Square. Here's a few photos of this area from the previous post. 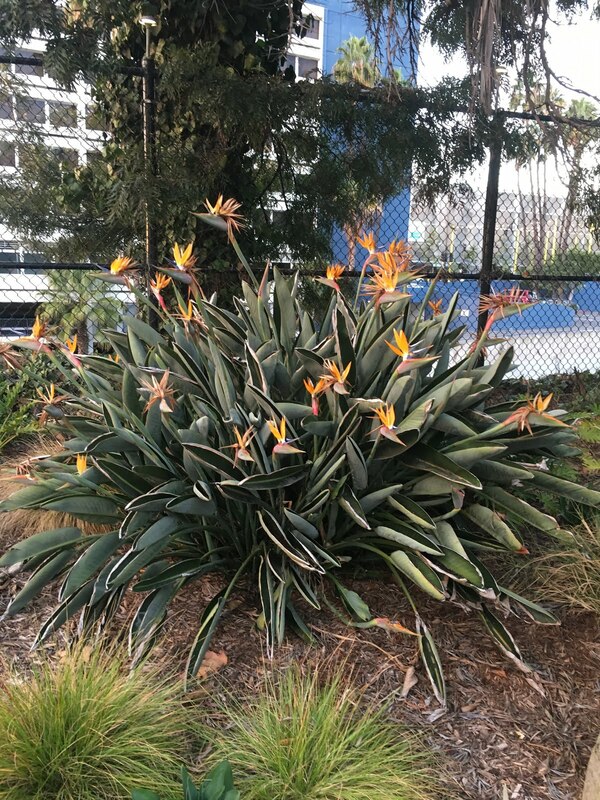 Ken Genser Square is one acre park in front of the historic Santa Monica City Hall, named after a former mayor of Santa Monica. 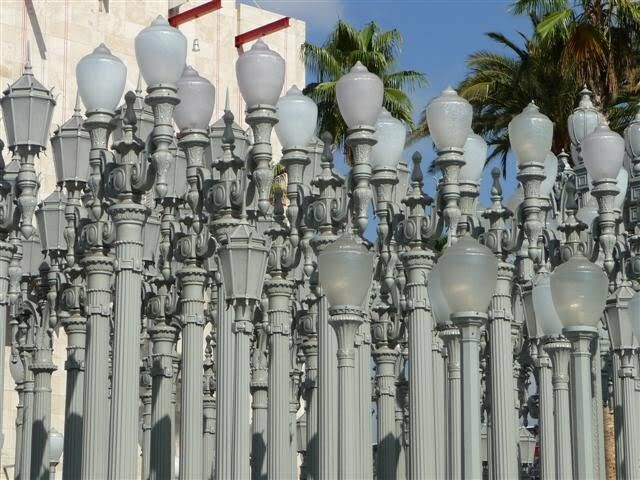 It's across the street from Tongva Park. 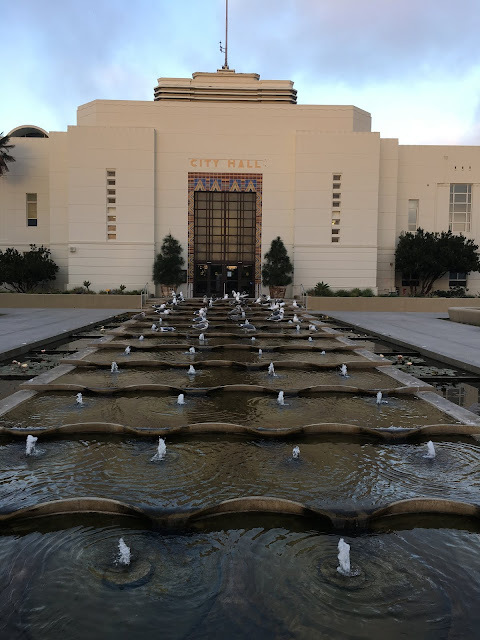 Pictured above, the fountain at entrance to City Hall - obviously popular with seagulls. Santa Monica City Hall was formally dedicated on November 25, 1939. 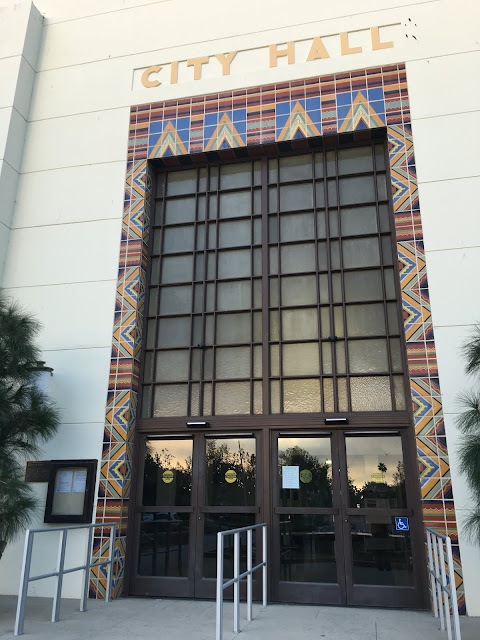 It's an outstanding example of the Public Works Administration (PWA) Moderne style of architecture. Place at the entrance. It was after 5pm and the building was closed. 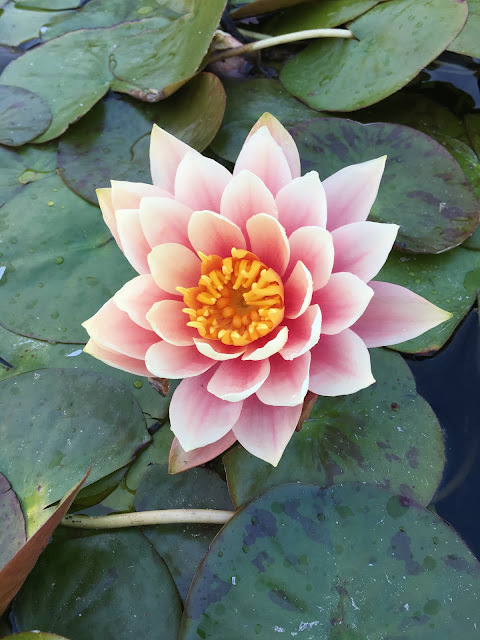 Beautiful lily pad flowers. These photos were all taken in last December. 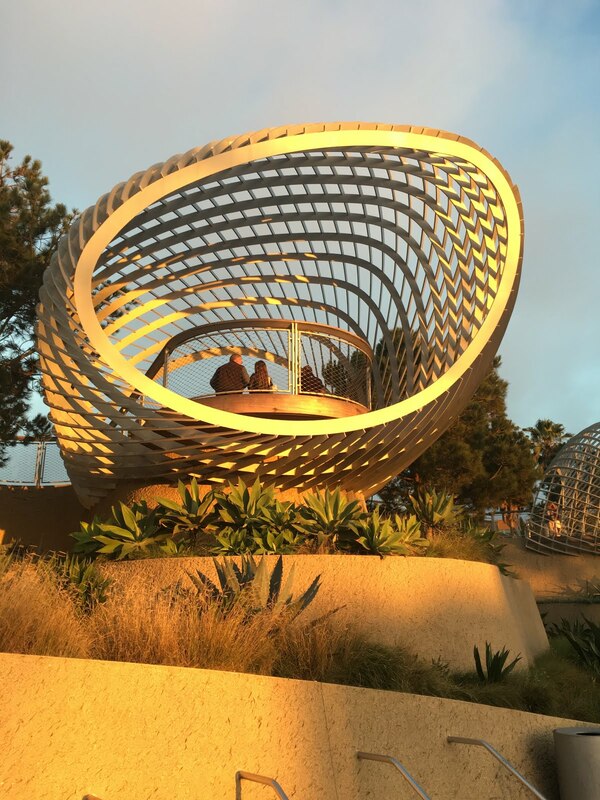 I walked back across the street to Tongva Park. Here's a link to a previous post with additional photos. 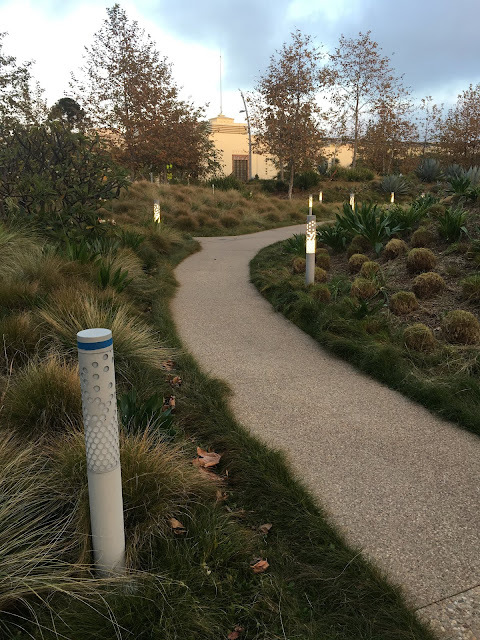 As stated last time, Tongva Park opened in 2013, on a former six acre parking lot. 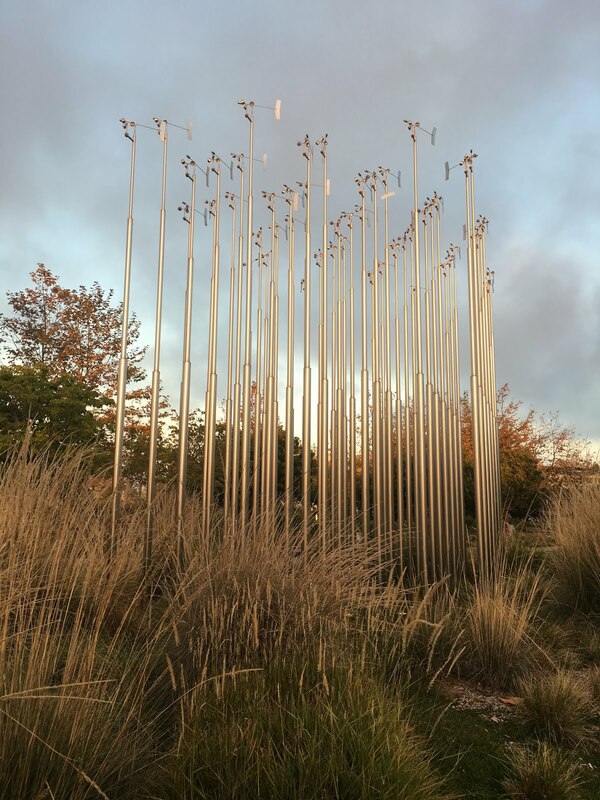 Trees, paths, water features, sculpture, a children's play area, splash pad. Remember the lyrics to the old Joni Mitchell song "they took paradise and putting in a parking lot"? In this case, just the opposite is true. 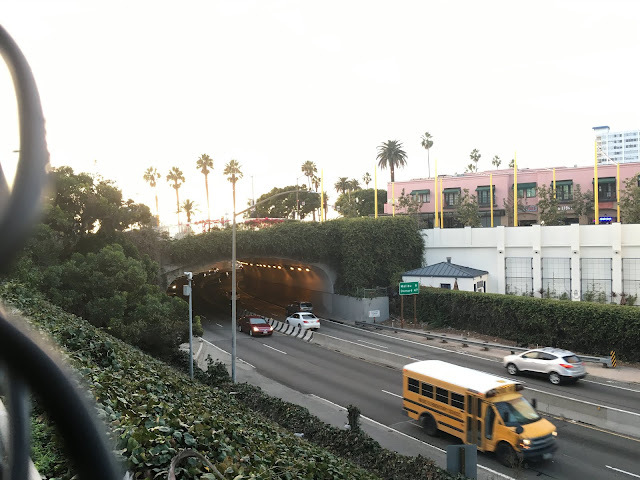 The park borders the Santa Monica Freeway, just as it narrows down to two lanes and merges into the Pacific Coast Highway. Up against the edge of the park, right where it borders the Freeway, is "Morty," a massive 100 year old Moreton Bay Fig Tree (Ficus macrophylla). 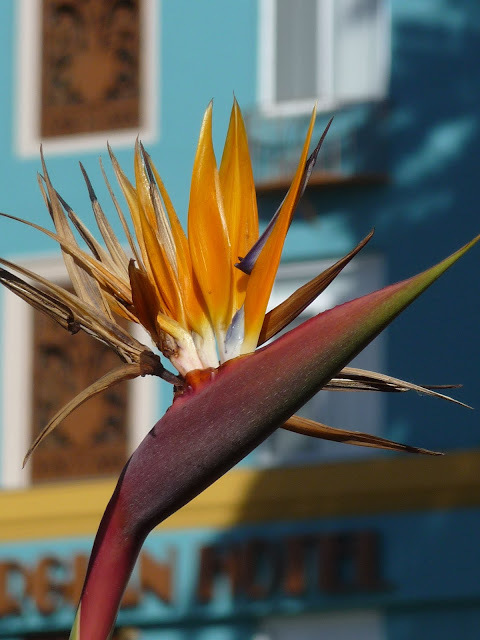 Bird of Paradise (Strelitzia) native to South Africa. This is the "official flower" of the City of Los Angeles. A view of the end of the Santa Monica Freeway at the 1935 McClure Tunnel. You can almost, but not quiet, see the end of the tunnel. Here's a link to a previous post with a bit more info. There's probably no bad time to visit Tongva Park, but sunset was particularly beautiful. Palm trees (another non-native) silhouetted against the setting sun, with one of the park's beautiful fountains. This sculpture is apparently also a weather monitoring station. 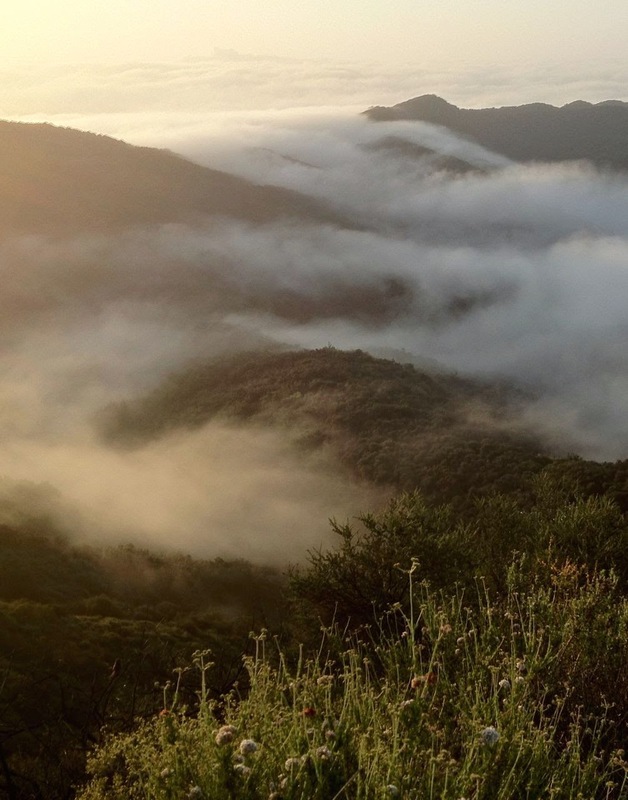 The setting sun and the incoming coastal fog made for an beautiful view of the overlook deck. Another view of the overlook deck with the reflecting sun at sunset. I had more time to explore the surrounding area. More on that next time.